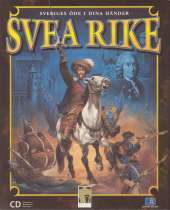 Svea Rike is a real-time strategy game based on the history of Sweden and a popular board game. The game take place between year 1523 until 1818, and the goal is to end up as king over Sweden. The player has to carefully manage his resource and invest wisely in trade, improvements and politics.